The critics are seriously loving Star Wars: The Last Jedi, but the fans seem to have a slightly different opinion on the film. Currently, on Rotten Tomatoes, The Last Jedi has a 93 percent rating from critics, which ties it for the highest score in the entire Star Wars franchise. However, the audience score on the site is much lower, coming in at just 64 percent. Yes, you read that right. More than 1/3 of the 58,600 audience members who have reviewed The Last Jedi at the time of writing this article said they didn't like the movie. While the critic score puts The Last Jedi at the top of the franchise food chain, the audience score tells a very different story. When examining that metric, only two Star Wars movies have lower scores than the newest installment. The Phantom Menace and Attack of the Clones scored a 59 percent and 57 percent in their audience scores. Revenge of the Sith, the third and final prequel film, actually received a 65 percent audience approval rating, putting it one percentage point higher than The Last Jedi. Let that sink in for a moment. 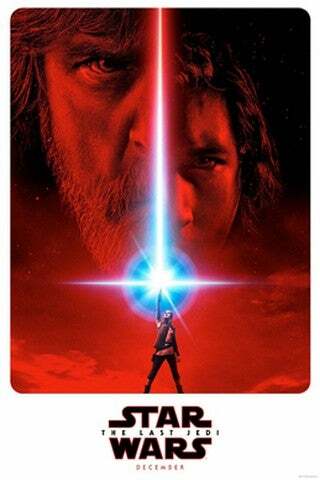 The Last Jedi, a film that some are calling one of the best entries in the entire Star Wars universe, is being scored the same as the widely-panned prequel trilogy among audiences. Bet you didn't see that coming, did you?